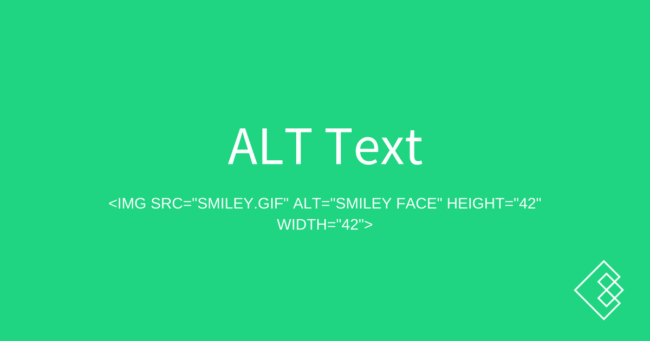 ALT text is a tag applied to an image that describes what the image is about. It is contained within an <img> attribute and exists for usability purposes for the visually impaired as they use the internet. They sometimes appear to the front end user when you mouse over the image. What does ALT text do for SEO? ALT text is one of the most frequently overlooked aspects of SEO, and can be effective on certain pages to help with adding relevancy to your images and your pages to rank for your intended search queries. There have been some tests in recent years about the efficacy of ALT tags, to mixed results. So while including ALT texts in your images is an SEO best practice, it is part of a much larger web of ranking factors and a big lift should not be expected from implementing them!